Each Tuesday we feature audio or video of an SR Contributor reading their work. Today we’re proud to feature this podcast and this vodcast by Christopher Citro. Christopher Citro’s poetry appears or is forthcoming in Poetry East, Arts & Letters Prime, Fourteen Hills, The Cincinnati Review, the minnesota review, The Cortland Review, Tar River Poetry, Harpur Palate, and elsewhere. 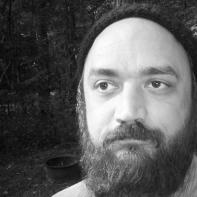 He has taught creative writing at Indiana University and the Martha’s Vineyard Institute of Creative Writing. His poetry has twice been featured on Verse Daily, and his awards include the 2006 Langston Hughes Creative Writing Award for Poetry and the Darrell Burton Fellowship in Creative Writing. He is currently completing an MFA in poetry at Indiana University.